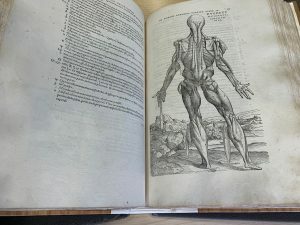 On the 7 and 8 November, the Centre for Health Humanities teamed up the University’s Arts Strategy, and was supported generously by the Heritage and Creativity Institute for Collections, in its running of a special workshop ‘On the fabric of the human body’. 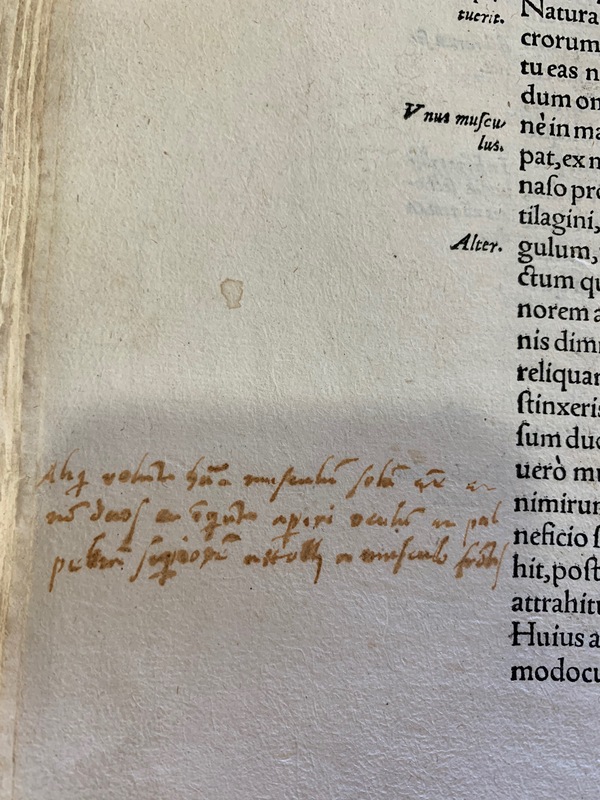 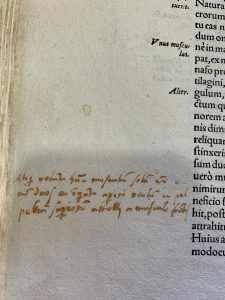 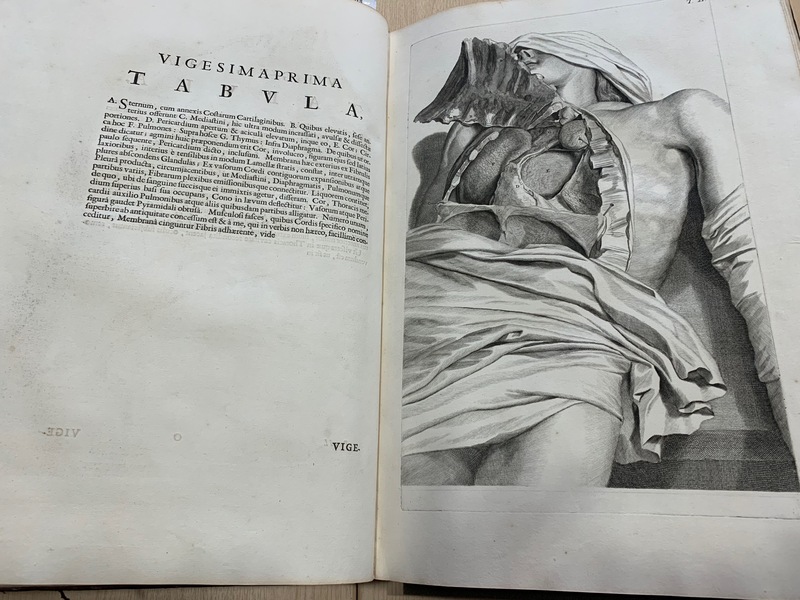 The event was organised around two gems in the Cole Library at the University, a first edition of Andreas Vesalius’s De Humani Corporis Fabrica (1543) and a first edition of Govert Bidloo’s Anatomia Humani Corporis (1685). 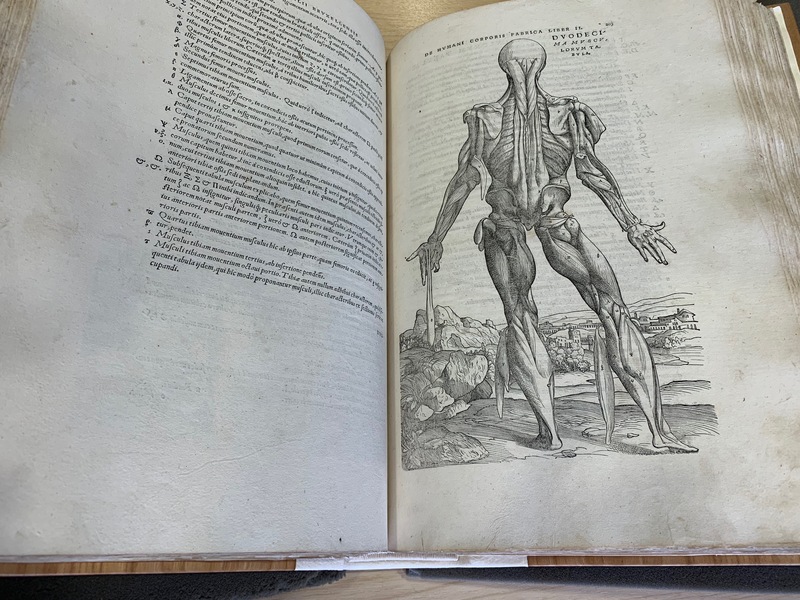 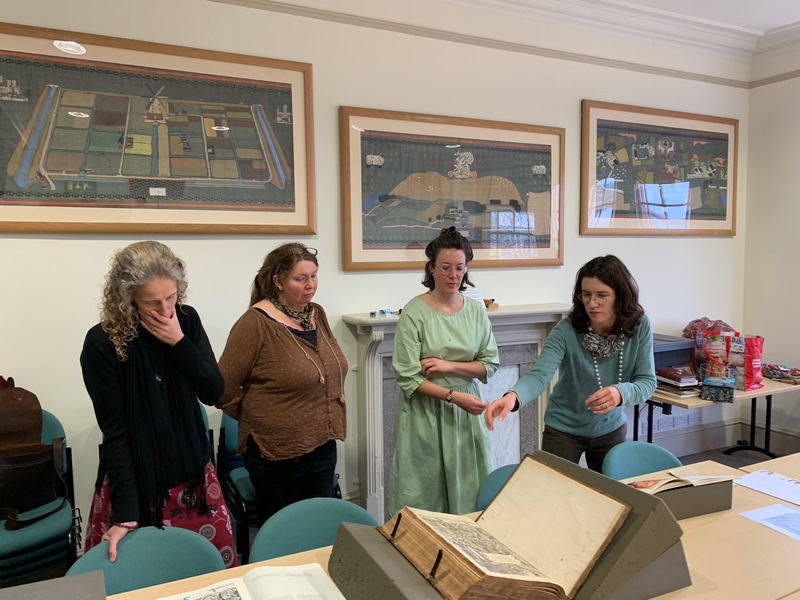 Five artists and a range of academics from the Centre got together to share their responses to these monumental anatomical atlases; we explored themes of movement and change, senses and perception, craft and medical knowledge and stories/storytelling in health practise and research. 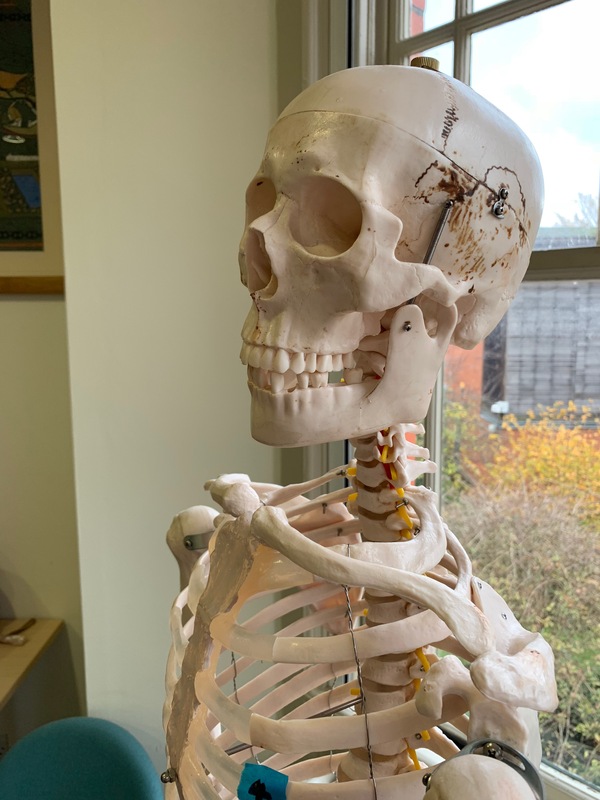 Activities involved a poetry session lead by poet and author Kelley Swain, a wax-modelling session lead by doctor and artist Simon Hall, a collage-making session with sculptor and anatomical artist Eleanor Crook, a movement/rolfing session lead by dance artist and rolfer Fiona Millward, and an insight into the realistic modelling of designer Agi Haines. It is hoped that this very hands-on, artistic approach to the University’s collections, and the research of the Centre for Health Humanities, will lead to some exciting new collaborations between academic and artists, as well as some creative arts-lead responses to our special collections.